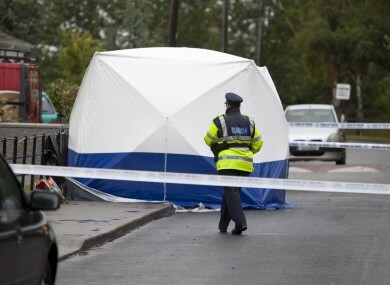 The 58-year-old was taken to Naas General Hospital where he died from his injuries. A MAN WHO was killed in a serious assault in Kildare last night has been named locally as Patsy ‘Bud’ Kelly. The incident happened last night in Sarto Park, a residential area of Naas, Co Kildare. 58 year old Kelly was taken to Naas General Hospital where he later died. Mayor of Naas councillor James Lawless said the man was “a well known and well liked character” in the town. I was only speaking to him last week. It is shocking that he met his end in such a violent way. The councillor offered his sympathies to the man’s family and his many friends. A 35-year-old man was arrested at the scene and is currently being detained at Naas Garda Station under the Criminal Justice Act 1984. Gardaí are appealing for witnesses or anyone with any information about the assault to contact the Naas Garda Station on 045 884300 or the Garda Confidential Line on 1800 666 111. Email “Man killed in Kildare assault described as 'well liked character'”. Feedback on “Man killed in Kildare assault described as 'well liked character'”.